"The opposition knew his limitations" - Sunderland fans point the finger in our player ratings round up! The results everyone is waiting for...what's the craic from yesterday's Player Ratings? He has been injured for a while but over the last few weeks it has seemed more like he has deliberately been left out of the side. Weird. However, he came back into the fray with a decent substitute performance, posted some nice Twittery stuff and then started to good affect against Burton. Throughout the evening Oviedo looked like the most likely source of anything decent in attack. With Hume looking like he needs a little more time to acclimatise to first team professional footbal, it would be nice to see Oviedo play out the remainder of the season at left back. In an evening of average performances, he came on top for what I believe to be the first time ever in our player ratings. It isn't the first time ever McLaughlin has appeared in the top two. If he isn't voted Player of the Season it will be a big surprise to me because there has been no player as consistent as McLaughlin in terms of delivering high quality performances. Once again he kept us in the game with a series of good stops, which was enough in the end to push us into that glorious second spot in the league. Whilst McLaughlin shows consistent quality, our centre backs have shown anything but for most of the season. All of Flanagan, Jack Baldwin, Alim Ozturk, Glen Loovens and Jimmy Dunne have come under fire after mishaps and poor performances - it's incredible that our recruitment can get it wrong so many times. Flanagan has a nack for putting his own defence under immense pressure through careless passing, undoing any decent work he manages on the defensive side of the game. And he scored an own goal, though to be fair the lad he was incredibly unlucky for that, but judging by the comments I'm not convinced it's had much of an impact on his rating. Most seem to disagree with me, but I still think Dunne is our best defender at the moment (not that I'm being particularly complimentary of him with that statement!). 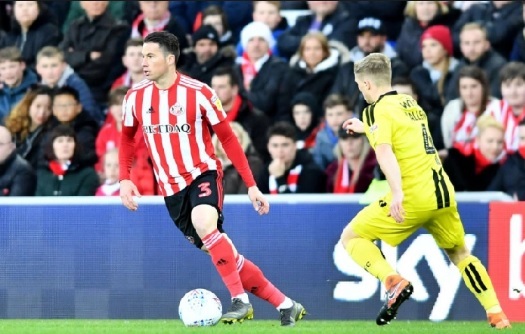 Charlie Wyke (6.4), Luke O'Nien (6.4), Grant Leadbitter (6.2), Max Power (6.1), George Honeyman (5.5), Lewis Morgan (5.2), Dylan McGeouch (5.1), Will Grigg (5), Jack Baldwin (5).